Hello! My name is Nathalie and I am a game designer with a MSc degree in Applied Cognitive Psychology. Currently I am studying for a BSc degree in International Game Architecture and Design at NHTV Breda. Below you can find my portfolio highlighting my game development work. Trailer created by James Gmilh. "Arboreal" is a currently in development, top-down, open-world farming and adventuring game. Players can choose to tend to their Orchard, explore the World and test their skills in its various hidden dungeons, or cultivate relationships with its NPC inhabitants. Awards & Recognition: Awarded "Best Game Design" of all Year 3 projects at NHTV Breda (2017-2018). ​Role(s) and responsibilities: For examples of my work on this project, please refer to its project page. Designed and built the entire open-world in-engine (e.g., the landscape, location of enemy encounters, landmarks, treasure, dungeons, multiple forms of progression gating). Designed and whiteboxed environmental puzzles in the open-world. Designed and whiteboxed the Village and Player Home. Created the narrative concept and 4 NPCs. Implemented psychological research findings to make farming gameplay more engaging, and helped integrate it with combat. Conducted research into motivation and engagement mechanics fitting our target audience. Made in Year 1 of BSc International Game Design and Architecture, "Beer Buddies" is a splitscreen co-op puzzle game in which players need to help each other solve puzzles, stay hidden from guards, and ultimately reach the village's pub. Trailer created by Julian Hofman. Role(s) and responsibilities: For examples of my work on this project, please refer to its project page. Created puzzle and level designs for all four levels. Built these designs in-engine using assets made by the art department. Designed AI behavior (e.g., reaction to noticing the player, targeting, searching for and hunting the player). Trailer created by Tristan Volk. "The Key Tax" is a first-person puzzle-platformer game in which players desperately attempt to file their boss' taxes, navigating through challenges of endless bureaucracy. Wrote the overarching narrative and objective focused dialogue (e.g., quest updates, player directions). Implemented environmental storytelling (e.g., set dressing, notice boards). Trailer created by Göran van Beest. “I Am the Eye in the Sky" is a first-person puzzle-platformer game in which players can absorb colours to transmit different properties to objects. It was developed during Global Game Jam 2018. Awards & Recognition: Invited to showcase the game at a Gaming Horizons 2020 Conference in Breda, The Netherlands. Created puzzle and level designs for the onboarding phase. Built these designs in-engine and implemented functionality. Gave the overall level an art pass using custom-made BSPs, materials, and lighting. Determined the overall art style in collaboration with our environment artist. "DM-Crematorium" is a multiplayer Death Match level for Unreal Tournament. Researched the game's metrics and multiplayer level design. Designed a multiplayer Death Match level (including aspects such as spawn points and pick-ups). Graphic created by Elliott Verbiest. 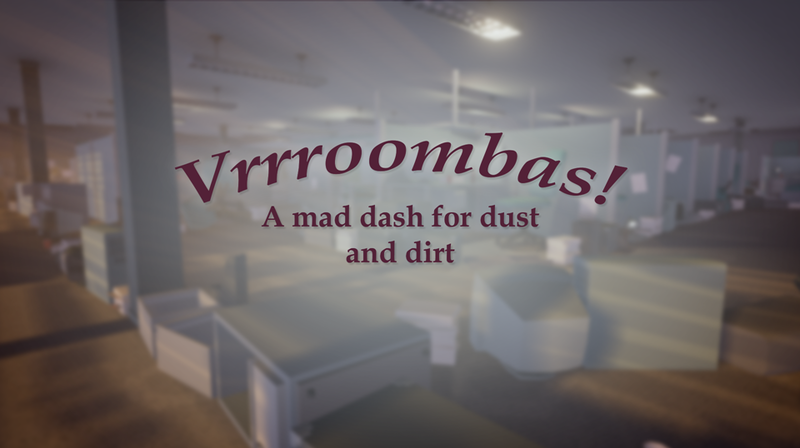 "Vrrroombas!" is a singleplayer racing game using a wheelchair as custom controller. Players find themselves in a post-party office environment as a roomba, and compete in a race against AI challengers. Created various level (track) designs. Built whiteboxes to playtest designs. Collaborated with the environment artist to iterate and settle on the final track model. Graphic created by Keriem Dijksma. 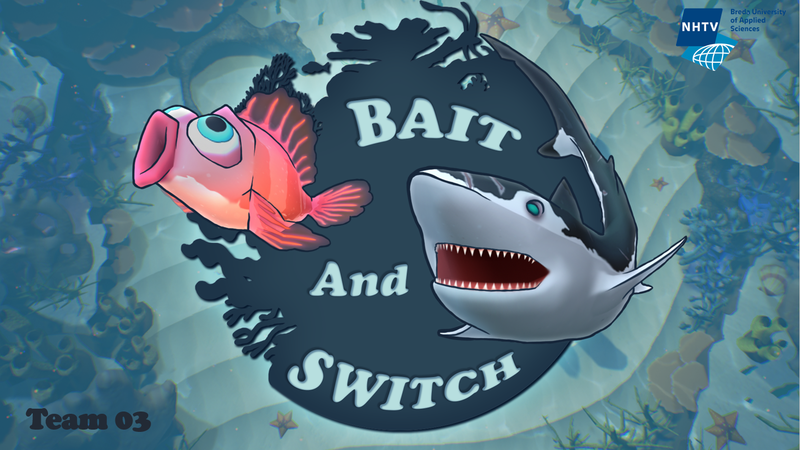 "Bait and Switch" is a singleplayer top-down game in which players need to protect their nest of baby fish from hungry sharks. Designed the game's mechanics and systems (e.g., rewards, progression, AI). ​Designed the gameplay space and levels. Conducted target audience research and wrote recommendations for game design. Trailer created by Elliott Verbiest. "Pantaloons Lost" is a two-player, competitive twin-stick shooter in which both players engage in a game of cat-and-mouse. Created a feature breakdown and estimated tasks accordingly. Checked in with team members, hosted stand-ups, wrote meeting notes. Maintained the team's Trello board and created a final breakdown chart. ​Ever since I was a child, I have been highly curious and have cultivated a broad spectrum of interests. These ranged from Ancient Egypt to the animal kingdom and the cosmos, from traveling to drawing and painting, and from food to music, film and technology. My passion for gaming sparked when I first set foot in the world of Tomb Raider (1996), which combined so many of my interests into an experience in which I was free to explore and uncover secrets. Books and movies were great, but actually interacting with a medium on such a personal level? That felt like something else entirely. I've been hooked ever since. Games matured as I did, and while playing Silent Hill 4: The Room (2004) I realized there existed a beautiful marriage between game development and psychology - this was something I needed to get myself familiar with! I went on to complete a BSc in Psychology, and a MSc in Applied Cognitive Psychology. It helped me gain insight into the way the human mind works, and I’ve been driven to utilize this knowledge in the projects I work on as a game designer. It was during my internship at QLVR Company that I could finally use my knowledge of psychology and implement it into game design. I conducted literature reviews as a foundation for game design decisions, discussed my recommendations directly with developers, wrote a research proposal to test the effects of a serious game on behavioral change, and conducted usability tests to improve their products. Currently, I am enrolled in a BSc programme in International Game Architecture and Design at NHTV Breda where I work on game projects in teams. Over the past couple of years, I have enjoyed tackling a wide variety of challenges and have developed my skills in multiple aspects of game design, amongst which level, narrative, UI and system design. I hope to one day professionally craft the type of experiences that have made such a lasting impression on me, and helped shape me into the person I am today. You can contact me via e-mail or LinkedIn.